When we visited Taipei last year, we had a chance to visit and eat at the original Din Tai Fung. 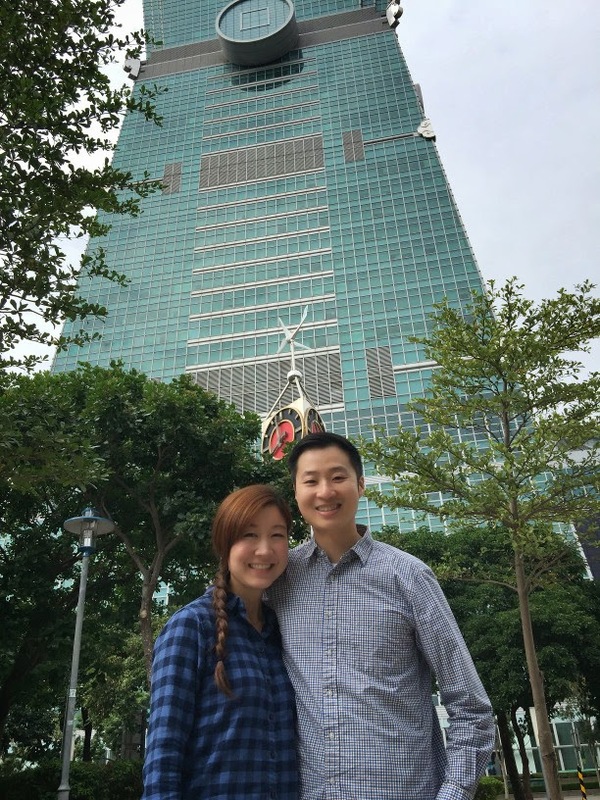 This year, we decided to try out the restaurant located at Taipei 101. 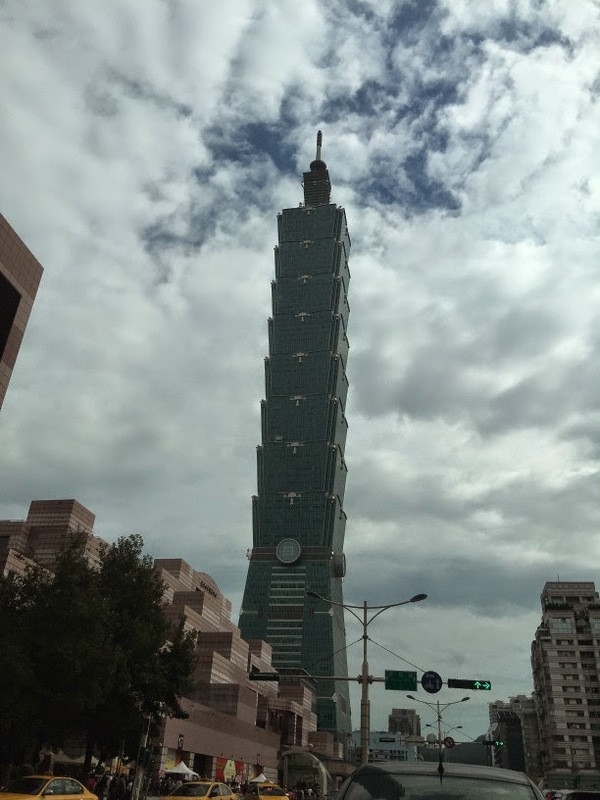 Prior to 2010, Taipei 101 held the record for the world’s tallest building. This building is made up of 101 above ground floors and 5 floors underground. Businesses take up most of the levels of the tower, however it is connected to a multi-level shopping center with hundreds of high-end stores and restaurants. We didn’t come here to shop however, just to grab lunch. Anyone who has ever been to a Din Tai Fung restaurant (originating in Taiwan, but also located in U.S., Australia, China, Hong Kong, Indonesia, Japan, Malaysia, Singapore, South Korea, and Thailand) knows that they make the best xiaolongbao, or juicy pork dumplings. These small steamed dumplings are filled with soup and are incredibly tasty and delicious. You dip each dumpling into a mixture of soy sauce, vinegar, and ginger before gobbling it up. An open window allows you to see all the dumplings freshly prepared by hand. Din Tai Fung also offers various other dumplings filled with pork, chicken, crab, shrimp, and vegetables. They offer various noodle and rice dishes as well as vegetables and soup. Don’t just take my word for it that the food here is delicious. Din Tai Fung restaurant was named one of the top ten restaurants in the world by the “New York Times” in 1993. 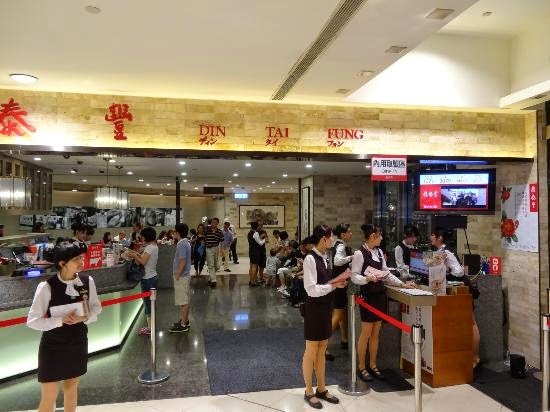 Two Hong Kong branches of Din Tai Fung were awarded a Michelin star. The Juicy Pork Dumplings were delicious. The Vegetarian Dumplings were delicious. The Shrimp and Pork Shao Mai were delicious. The sautéed String Beans with Garlic were tasty. Can’t leave without taking a picture with the dumpling mascot! After lunch, we saw that the founder of the Din Tai Fung restaurant, Yang Bingyi, and took a picture with him! My next series of travel posts will be regarding our time in Okinawa, Japan!